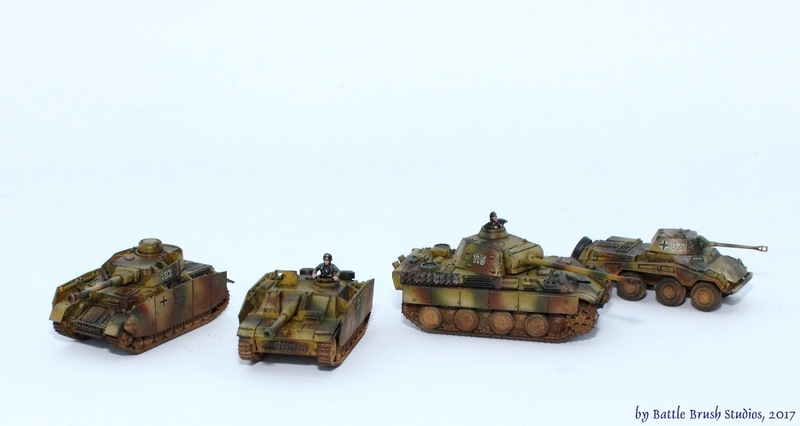 Battle Brush Studios: Showcase: 15mm Tanks! 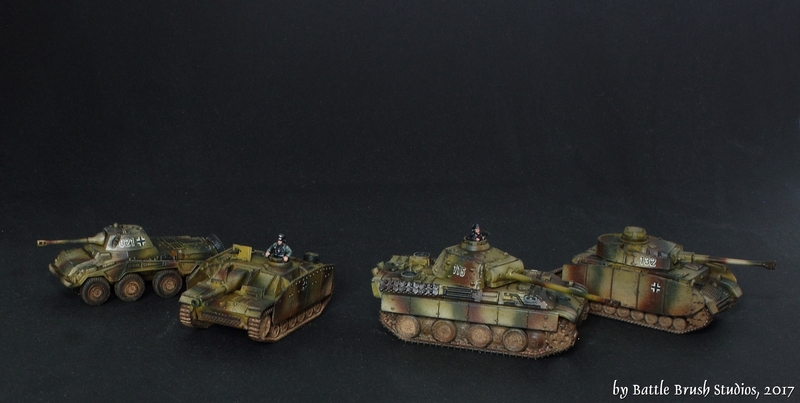 Some more historicals, but now we're back to WW2 with a few German tanks for the Western front 1944. 'round here GF9's Tanks! has taken off a bit, so I was asked to paint a handful of tanks for this game. These models are all 15mm plastics by Battlefront, right out of the box. I magnetized the turrets and the crew figures I added are from Plastic Soldier Company Panzer IV kits. Thanks very much, Michal! :) I'm chuffed that you take the time and comment that often.